The Baltic Zonal Chess Tournament took place from 6th to 12th June, 2014 in Liepaja, a city in western Latvia, located on the Baltic Sea. The tournament has started with a formal opening ceremony participating the FIDE President and the heads of the Baltic chess federations. Twelve of the most accomplished chess masters from Latvia, Lithuania and Estonia competed for the FIDE Presidential Kirsan Ilyumzhinov Cup. Latvian champion GM Igor Kovalenko emerged clear winner with dazzling 8,5/11 points, 1,5 point ahead of the runner-up. 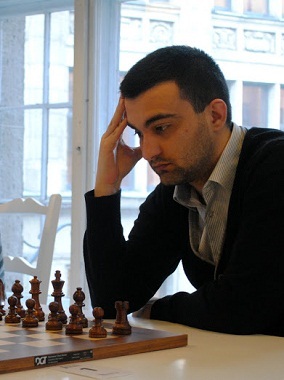 Kovalenko continued his amazing string of successful performances, winning fourth strong tournament from the beginning of the year after Paul Keres Memorial 2014, Latvian championship for men 2014 and 33rd Zalakaros Chess Festival 2014. GM Arturs Neiksans remained second with 7/11, while GM Aloyzas Kveinys took the bronze with 6,5/11.